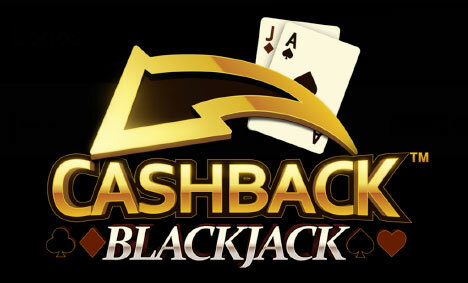 If you are looking to play a Blackjack game with a fun new option, then you need to check out Cashback Blackjack. This is a multi-hand game that now lets you accept or reject cashback offers for your current Blackjack hands and brings an exciting new strategic element when you play. The amount that you are offered is based on the strength of your two card hand(s) and also on what the dealer’s face up card is showing. Somewhat similar to Blackjack Surrender, but now you can now accept these offers that might be higher than when playing Surrender and get a little bit of cash back if you think that one or more of your hands are likely to lose against the dealer’s hands. Play just a couple of hands and you will get the concept of this interesting new game at Fly Casino. Play it anytime starting at 00:00GMT March 29 throught 23:59 GMT March 31st and get 15% cashback on your net cash losses* during the promotional period. Cashback will be issued Monday April 1st up to $/€1,500. There are no wagering requirements on cashback rewards issued. *Bets placed with bonus funds and/or while under wagering requirements are restricted and winnings subject to be void. *Accounts suspected to be assoicated or acting as a team are subject to denial of Cashback awards. $30 Gets $40 X 2 Bonus on Sunday from 00:00GMT until 23:59 GMT, all members on their deposit of just $/£/€30 or more will receive a $/£/€40 bonus. Claim it 2X. $150 Monday! From 00:00GMT until 23:59 GMT, all members on their deposit of $/£/€30 or more get a 75% bonus up to $150. $200 Big Money Tuesday! From 00:00GMT until 23:59 GMT, all members on their deposit of $/£/€30 or more will receive a 100% bonus up to $200.00.